There were no 100 point plus thrashings in this round . The Geelong / Brisbane margin of 42 points was the equal highest for round 5 with the Western Bulldogs win over the Giants. Surprisingly it was Sydney's 37 point beating of Hawthorn that was the next highest margin of the round! In my opinion Hawthorn had a lot of their confidence knocked out of them when Geelong came from behind and beat them. Some highlights of round 5 included Brisbane's Simon Black playing his 300th game and Adam Goodes breaking O’Loughlin’s game record for the Sydney Swans. And speaking of Sydney aren't they travelling along very nicely with 5 wins and no losses? Will they fade as the season progresses? There is just something about Broncos games this year being played in the Rain. While not fun for the fans, the Broncos continued their run of form in 2012 with a deliberate win over the Gold Coast Titans 26-6. I say deliberate, because the win was just never in doubt. The Broncos controlled the game better than any other team I have seen this year. The Titans were never in the hunt. Again, Corey Norman and Peter Wallace were superb, while Alex Glenn picked up a double for his efforts. I really liked Gerard Beale as well...but a great team effort. In the other game, Manly defeated the Bulldogs 12-10, as the Eagles got one back on former coach, Des Hasler. This early preview to cover Anzac Day will be followed up by the normal preview for the remaining 8 games which will hit your computers Friday morning as usual!! The way these previews are going it is strongly suggested you ignore the tips and enjoy the stories!! That special day of the year has come around again as we all pay tribute to Aussie heroes that fought for our country in WWI, WWII, Vietnam, Korea, Iraq and Afghanistan to mention a few. It makes us all proud to be Australian when we see the growth of Anzac Day over the years. Traditions like that have been grabbed by the AFL and after a wonderfully moving ceremony played out at the MCG the two football combatants, Collingwood and Essendon battle it out. We all know that the Magpies have some injury problems but Essendon, after a great win over Carlton on Saturday, may also have some injured players out of this clash. At time of writing this preview I am unaware of the team line ups and whether missing players will make a difference to the result. The Bombers may tire a little sooner than the Magpies after their grueling win against Carlton, always a telling factor in a game filled with emotion. Essendon’s undefeated run might come to an end this day. Didak will be a welcome return for Collingwood who, after fighting press reports last week, have to contend with Dane Swan ‘fat’ reports this week. Expect the usual sellout crowd for this match. The 1 minute silence after the Last Post raises the hair on the back of my neck. So much for statistics. Fremantle hadn’t beaten the Saints since King Arthur married Guinevere and the Dockers had as much chance of winning in Melbourne at Etihad as Kevin Rudd has of being the next PM of Australia. And in the face of all those damning stats for tipsters to ignore Fremantle they get up and win. Bah! Humbug! Ross Lyon would have been happier than most with his new team beating his old team and the win has given Freo a nice start to the season. St Kilda will beat teams on their level but might struggle against the top 6 or 7. So it’s a bonus they meet Melbourne next week. 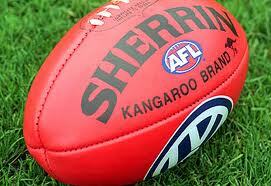 The Dockers play Carlton at home – that might be interesting after the round 4 results. Last week 6 from 9 due to a cute but stupid tip for a Port Power win against Sydney and as it turns out an equally stupid tip for Collingwood to beat Carlton!! North beat Geelong which can be classified as an unexpected result. Back to our regular AFL Program: It’s been a busy week at Collingwood judging by the newspaper reports. It all started with a Carlton hiding on Friday night and then it was time for the knives to come out. Sad to see such a fall out although non-Collingwood fans would be loving it. Then again it’s been happening at other clubs as well from season to season. The Magpies were being touted as unbeatable last year and they lost. Experts also said that Collingwood had the team that could put together 3 premierships considering their playing list. Wrong again. The team has always played under great expectation and when things go wrong or not to plan knockers can be heard inside and outside the club. Whether Mick should be making any personal references to his time there is debatable. Whether Eddie should consider standing aside as club prez is also debatable but I wish they would keep this bickering in-house. Egos – sheesh! And Wayne Carey? What footballers are talking to him anyway for him to get that information about unrest between the coach and the players? Nathan Buckley is in his first year of coaching so there needs to be an adjustment. At least the Pies have won a game unlike Neeld’s Demons and McCartney’s Bulldogs. Coaches will be feeling the heat in a number of clubs – The Suns, The Lions and the Giants as they put their style into the players’ heads. All this hype makes for an interesting year in the AFL. Good luck with the tipping this week. Australian team: Billy Slater, Darius Boyd, Greg Inglis, Justin Hodges, Akuila Uate, Johnathan Thurston, Cooper Cronk, Paul Gallen, Cameron Smith (capt), David Shillington, David Taylor, Sam Thaiday, Luke Lewis. Interchange: Daly Cherry-Evans, Ben Hannant, James Tamou, Anthony Watmough. 18th man: Matt Gillett. Three rounds into the 2012 season and many of us are none the wiser on what might be final ladder positions. It is hard to gauge where teams are in the pre-season competition due to the fact that they play a lot of their younger players to see where they are at in development and potential. The teams that played in the AFL Grand Final last year have both won just 1 from 3 although the Pies look a bit sicker than Geelong at the moment! Tipping hasn’ t been that difficult unless you read too much into form changes or if you are trying to be cute rather than practical and logical. West Coast and Carlton sit atop the ladder and apart from Hawthorn I’m not so sure any of the other top 8 team will be there at the completion of the home and away season. It seems such a long time ago that Round 6 kicked off, and it proved to be a very interesting round, in terms of who really are the contenders to the title for 2012. Super Saturday followed with the Roosters maintaining their winning form with a 18-12 victory over the Titans in the worst game of the round, while the Sharks held the Dragons scoreless in their 12-0 win over Big Brother. This was the game of the round in front of a sellout Toyota Park crowd and certainly stamps the Sharks as the real deal this season. The Raiders are also one stamping themselves with a big 32-12 win over the Warriors, the Knights held out the Eels 14-6 while the Storm stamped themselves all over with the favourite tags, demolishing the Cowboys 42-18. In Monday Night footy, Manly flogged the Panthers at another great crowd at Brookvale 30-0. Quite a mix of results with the best game being left until the last fixture at the MCG between Hawthorn and Geelong. 2 games were complete blow outs of over 100 points and another 2 were almost the same with 90 plus points as margins. That was a far cry from the opening round last week. Tipsters would have picked at least 8 and many picked 9. I got 7. The results will mean an evening up of the ladder with teams beaten last week registering their first win and teams winning last week suffering a defeat this week. The ladder at the moment bears little resemblance to what it will look like in 10 weeks except of course for the bottom 2 teams and that is to be expected considering their recent entry into AFL ranks. Round 6 of the NRL sees some of the Blockbuster Easter Clashes. Find all the info on the teams here. Not a good start to the tipping last week dear tipsters, I am sure many of you did better than me but every week is another adventure. Good luck! The Lions certainly looked the goods against the Demons last week but then again so did the Blues against the Tigers. I learned my lesson last week picking against Carlton so I won’t do it 2 games in a row but it might be a lot closer than the Blues would like with a home town crowd at the Gabba worth at least 2 goals. There will be some interesting match ups with Rich and Black and Judd and Carrazzo then Leuenberger and Kreuzer. But overall you would think Carlton has enough guns up forward and across the ground to win the game. First round of tipping – you can cover yourself in glory or slink away into a corner and lick your wounds! Lick! Lick! Gawd, tongue as dry as a lizard’s!! I think some of the tipping was a bit cute but some of the results were also rather ugly. Welcome to tipping 2012. The game followed the script as expected with the Sydney Swans accounting for the newcomers into their territory. It was just the final margin that needed to be sorted on the night. Considering that margin was just 10 goals it might mean that the Swans may again be middle of the road rather than finals material. For GWS?